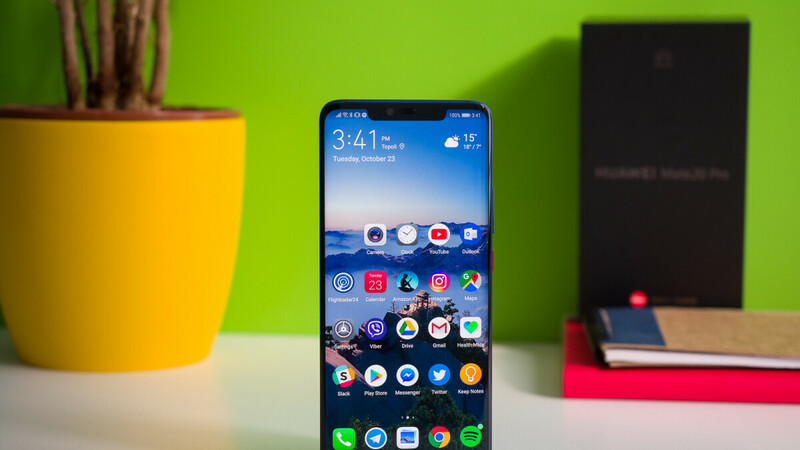 After Huawei's grand deal with Verizon fell through at the beginning of this year, due to privacy concerns from the US, Europe is now seemingly ready to follow suit. Government officials from the UK, Germany, and France were becoming increasingly wary of Huawei, even before the recent arrest of the company's CFO, Bloomberg inside sources claim. America's long-standing fears that Huawei could enable Chinese spying seem to be shared across other countries as well. Earlier this year, Australia and New Zealand barred Huawei from providing infrastructure for next-gen phone networks, and it seems the EU could follow suit. Huawei is keen on developing 5G technologies and infrastructure and Europe is the company's largest market outside Asia. It's also a market where 5G will be rolled out next year, but the Chinese telecommunications giant may not be allowed to provide equipment for the new, super-fast networks. “Companies are making their decisions about their core network technology,” said Ben Wood, chief of research at technology analyst CCS Insight. “Those are decisions which are implemented and then sustained for a decade, so this is a very, very important crossroads for Huawei and these kind of moves are very unhelpful, the fact that this has all blown up at this time,” said Wood referring to the recent arrest of Huawei's Chief financial officer in Canada over bank fraud. Well androidtard doesn’t care spying on their phone. Your iphone fried your brain because I did not understand a thing you wrote. Come back after you've finished grammar/spelling 101. Damn. I can't even understand your grammar. Lol. Btw keep it up! And apple was spied by 16 yr old boy. They may also not be just conspiracy theories. Recent news were that EU car manufacturers are forced by Chinese government to install spyware on the cars they sell in China. It goes without saying that Chinese car manufacturers do the same. It's not only in the telecommunications business that China spies actively on their citizens and obviously they would have no problem to do so to other countries. Somethings going on if everyone else is jumping on board. Like protecting the coal industry? U must b Chinese? Pretty much everyone has FB on their phones. They are the biggest spying company in the world.https://www.bbc.co.uk/news/technology-46456695 They can't even hide it. I agree with the FB comment. Facebook & Google worked very close with the previous admin and contributed a ton of money so they basically were allowed to do what the hell they wanted to do with some politicians blessing. What bugs me is the lack of evidence. Nobody has really come out with hard evidence that this is happening. Conversely, Huawei isn't trying to prove otherwise. The governments are coming across as tinfoil hat wearers while Huawei is looking guilty since they aren't doing anything aside from just denying the fact. America is not country; it is a continent.